Emmet, a happy construction worker, lives and works in Bricksburg which is a well-constructed Lego city. It is a tidy and ordered place, with everything built according to the instructions. Then one day, something happens to challenge Emmet’s views. Is it really so important to always follow the rules and stick solely to instructions? Or is it possible sometimes to branch out and construct with any Lego bricks lying around and use imagination? Can Emmet help Wyldstyle and Batman defeat President Business and stop his evil plot to glue their world together? What will he tell Bad Cop, the meanest most ruthless policeman in all of Bricksburg when he asks Emmet: “How did you find the Piece of Resistance? !” And what is that strange red Lego piece anyway? This fun movie handbook tells the story of the Lego Movie in full glossy colour. 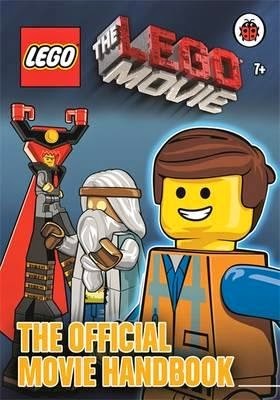 Formatted as a graphic novel and based on the screenplay by Phil Lord and Christopher Miller the book introduces many Lego characters, buildings and vehicles that kids will probably recognise from their own Lego boxes at home. With 19 short chapters, large, clear text and wacky humour, this book is good for young fans of Lego and the movie. Suitable for beginning readers and older.